I suffered from reactive arthritis 7 years ago which affected some of my joints but primarily my right knee. I was in constant pain even at rest. A simple task like walking was difficult, especially going up a flight of stairs. For the first time in my life, I understood how an elderly person must feel, why they needed support just to walk up or down a few steps. I was told by my doctors to live with the pain, take painkillers and with time, the pain would hopefully go away. However, the doctors did not understand how debilitating it was to be in constant pain. It affected my work and everyday life. I was miserable, angry and frustrated as I used to be very active and athletic. I was desperate and willing to try anything. I investigated alternate remedies and traditional physiotherapy before coming to Mark & Joko. With their help, I am now pain free and have since achieved greater heights in my physical performance than before my injury. I participated in my first triathlon in Year 2012. Since then, I have participated in various competitions including The Spartan Race and Iron Man, placing well in my category. Thanks to Mark & Joko for giving me back my life. Thank you for training my husband with his exercises. He has benefitted a lot. He holds you in very high esteem. He is seeing improvement with his back and is now able to go about his job with more ease than we expected. At times, stress and anxiety will pull him down but he persists with what you have taught him and he recovers from it soon. We are both very grateful to you. Thank you Josephine. When I found out that I had torn my ACL, I was shocked. What will happen to the sports games I enjoy? Will I be able to jump and run in the future? I was referred to Mark and Joko by my orthopaedic doctor. I was amazed by their professionalism. Firstly, they advised me to go for the operation because it is good for my future since I am still young. After the surgery, they tailored my sessions to my recovery speed and standard. They put their heart and soul in their work with me and helped me find my new confidence level. Three days after my surgery, I was able to walk slowly on my own. It sounds like a scarily fast recovery but I did it with Mark & Joko’s help. They carefully assessed my situation and guided me in my exercises. I felt encouraged by them and I am 100% confident they know what they are doing to me and for me, and how to bring me back on track. Now, I am at the 9th week of recovery and I am able to jump on the trampoline. I have seen so many other clients put their trust and faith in them and all their clients can gain back their routine life within one to two sessions. With their guidance, professionalism and support, I truly believe they treat their patients not only as just patients but close friends as well. 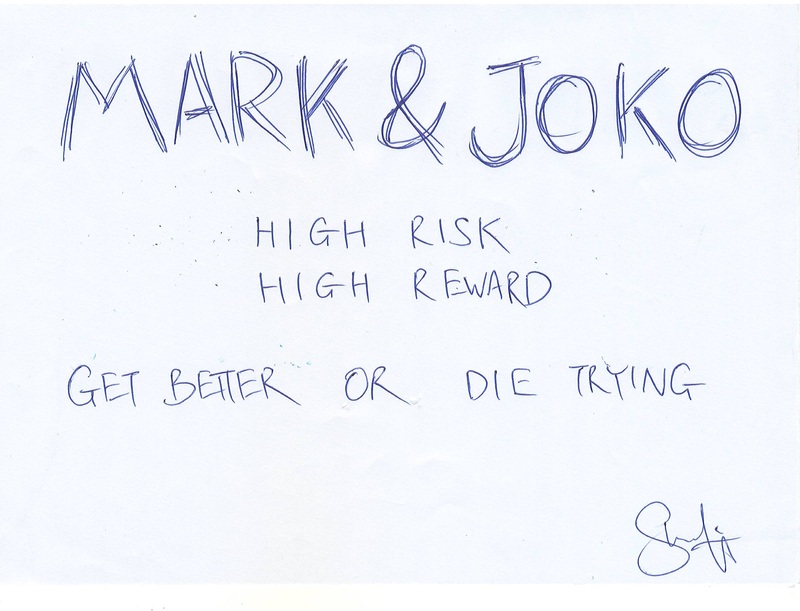 Keep up your spirit, Mark & Joko. When I first walked into Mark & Joko’s Clinic, I had already broken my left arm three times and my right arm once. Over the course of two months, I developed skills that were lost when I broke my arms. I couldn’t do handstands cartwheels, push ups, or even a simple somersault. After weeks of rebuilding strength using their many exercise equipment, I could walk on my hands again! I could finally do what I couldn’t do after I had broken my arms. What was also fantastic was that they not only build my strength, but my confidence too. I had such a great experience in their training and physiotherapy sessions, which had help me so much. Dear Josephine and Mark at Mark & Joko Health Management Clinic. Many thanks! With your professional advice on the necessary movements, exercises and therapy, I was able to manage my pain, gather my courage and walk normally again, much faster than I had expected. Wonderful work. God bless! I was desperate and willing to try anything. I investigated alternate remedies and traditional physiotherapy before coming to Mark & Joko. With their help, I am now pain free and have since achieved greater heights in my physical performance than before my injury." Mark & Jo are very dedicated and friendly. They create a great environment for rehabilitation and I do not feel a dread going for physiotherapy. They push you at times and you see the results and effects of their support and hard work. Thanks to Mark & Jo." Thank you for training my husband with his exercises. He has benefitted a lot. He holds you in very high esteem. He is seeing improvement and is now able to go about his job a lot more than we expected." Get Better or Die Trying"
I was reference by my orthopedic doctor to Mark and JoKo. I was amazed by their professionalism." After weeks of rebuilding strength using one of their many exercise equipments, I could walk on my hands! I could finally do what I couldn’t do after the result of my broken arms." Many thanks! With your professional advice on the necessary movements, exercises and therapy, I was able to manage my pain, gather my courage and walk normally again, much faster than I had expected."